Carpet Cleaning Specialists Proudly Serving Phoenix, AZ. What Additional Services can Valley Cleanpro Provide for You? How can I contact Valley Cleanpro? The word is out that Valley Cleanpro is making a statement in the carpet cleaning industry. We have been pleasing our customers with a system that has proven itself to be the finest on the market today. We take pride in ourselves to serve our Phoenix customers with outstanding service, and unbeatable results from our quick-drying extraordinary carpet cleaning process. Contact Valley Cleanpro today for a free consultation. The Valley CLEANPRO® Carpet Cleaning System is a revolutionary breakthrough using technology with common sense - the Ion Exchange process. If you're annoyed with having your carpets wet for days from steam cleaning, you'll appreciate the quick dry time of the CLEANPRO system. 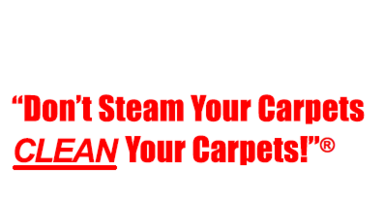 Your carpets will dry in an average of 1-2 hours. 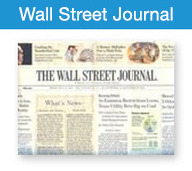 It will yield results that cannot be outperformed by anything else on the market... guaranteed! 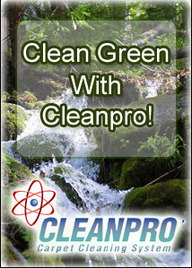 The CLEANPRO system is friendly to the environment, and won't affect indoor air quality. These are important issues for those who care about their children, pets and allergy sufferers. Your Phoenix Cleanpro professional also specializes in upholstery cleaning, flood control and odor control. Phoenix Cleanpro offers several stain-busting solutions, upholstery cleaning and odor removal techniques for residential and commercial properties. Phoenix Cleanpro serves all of the surrounding Phoenix area. We offer competitive, reasonable pricing for our city customers and we believe in giving people options. We won’t charge you for something you don’t need.